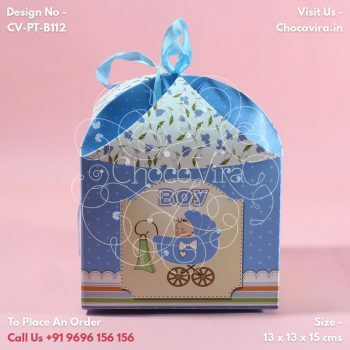 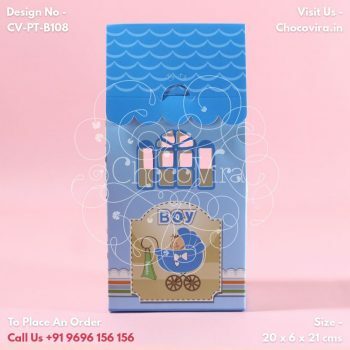 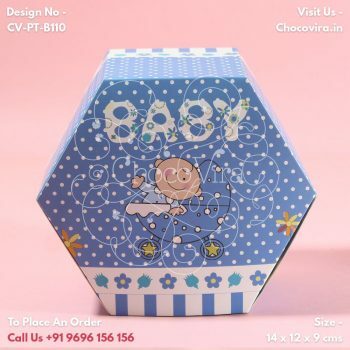 Gift the Best Baby Boy Announcement Chocolate Favours from Chocovira! 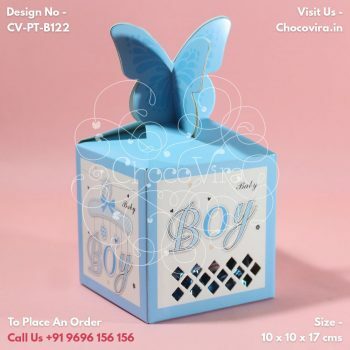 Birth of your baby boy is a wonderful moment in the family. 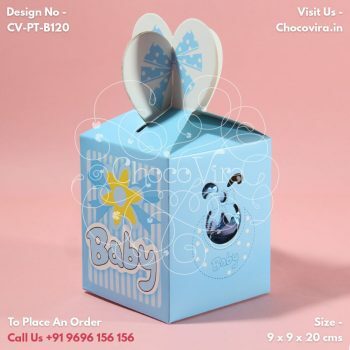 Everybody is thrilled by the new born miracle in your family. 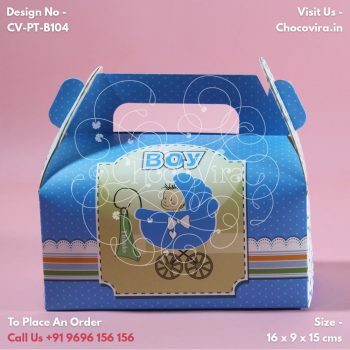 You invite your friends and closed ones to your baby boy announcement. 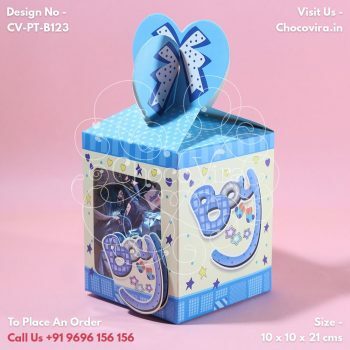 With hearts filled with love and pride, you gladly introduce your boy, your prince, to the world! 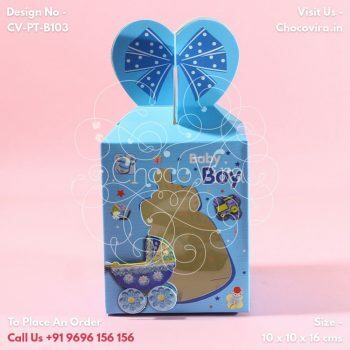 This event should have a royal touch and chocolates give you that feel. 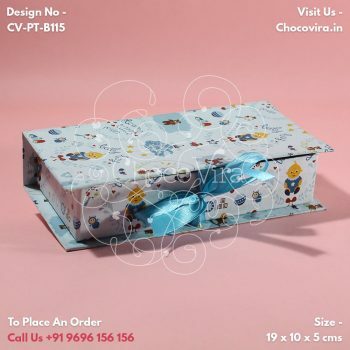 Your friends and family will love receiving your special news along with delicious chocolates and enjoy the practicality of your gift even more. 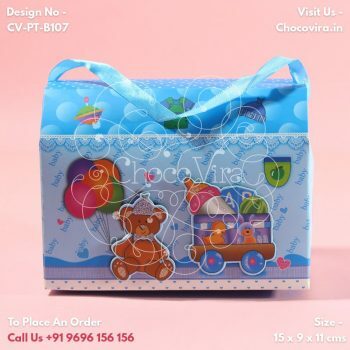 Chocovira provides the best homemade chocolates in Mumbai. 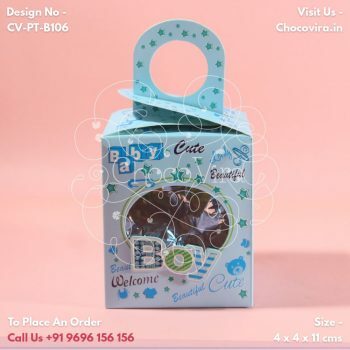 We are specialized in homemade chocolates having a wide range of flavors which will be loved by everyone attending your child’s birth announcement ceremony. 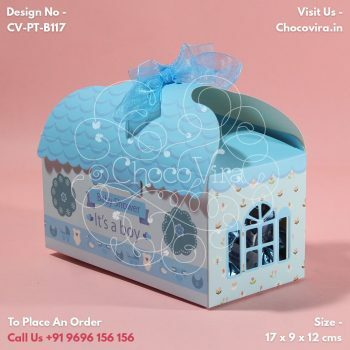 You can choose the flavors according to the preference and liking of your guests. 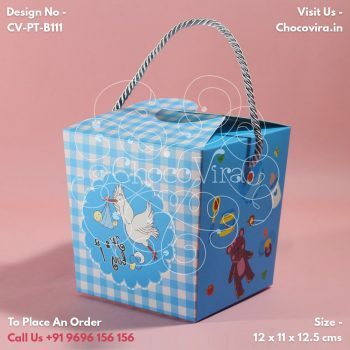 Made with the finest quality products in the best environment, we do not compromise on quality and taste. 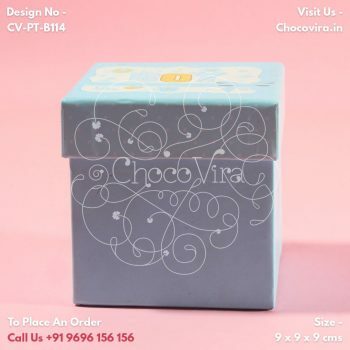 Our chocolates are 100% pure veg and taste as delicious as any other factory made chocolates. 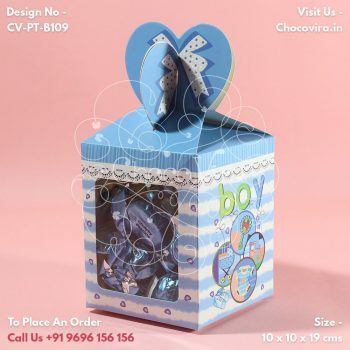 Every piece of chocolate is made with love and care, adding the personal touch. 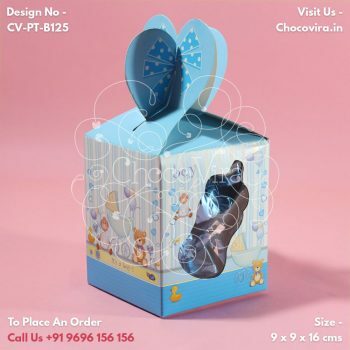 You can tell that our chocolates are great just by the look of it. 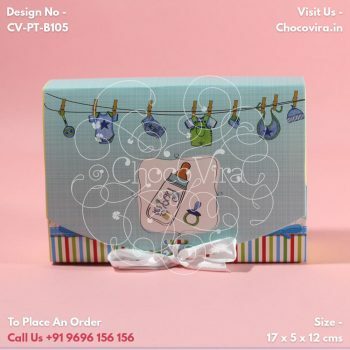 Chocovira provides chocolates which have fresh and luxurious look, making it the best homemade chocolates and different than any other chocolate of its kind in town. 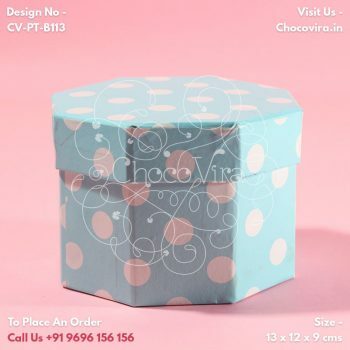 We believe that our special chocolates also need special packaging. 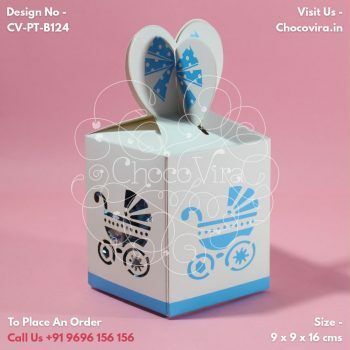 Our packaging is also another attribute which makes Chocovira the best option for your beautiful occasion. 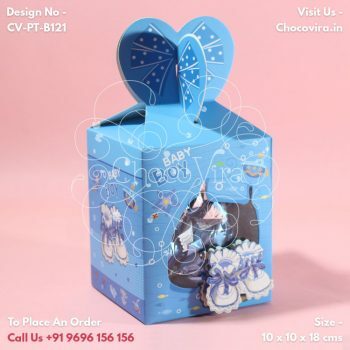 We provide chocolates boxes and packaging in a variety of options depending on various occasions like Wedding invitation gifts, Diwali gifting, birthday celebrations, baby birth announcements, etc. 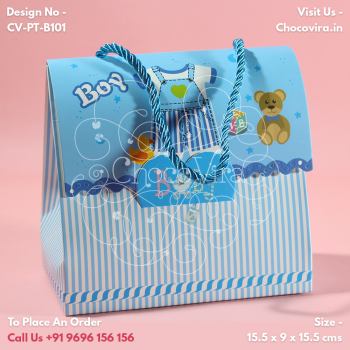 For baby boy announcements, we provide blue color, or shades of blue or any other color packaging of your choice. 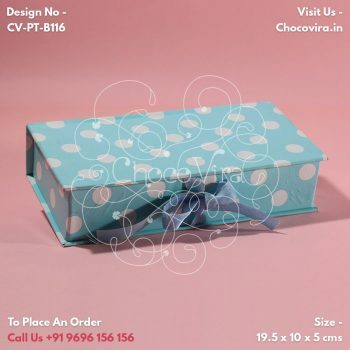 Our chocolate boxes are available in a range of prices for you to choose according to your budget. 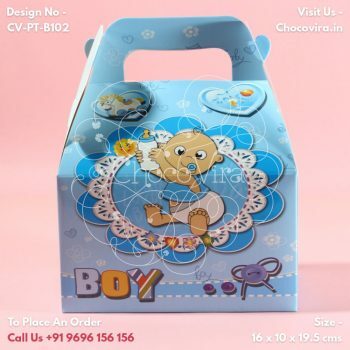 Try out Chocovira and make the celebration of baby boy’s entry to the world a grand and memorable one.